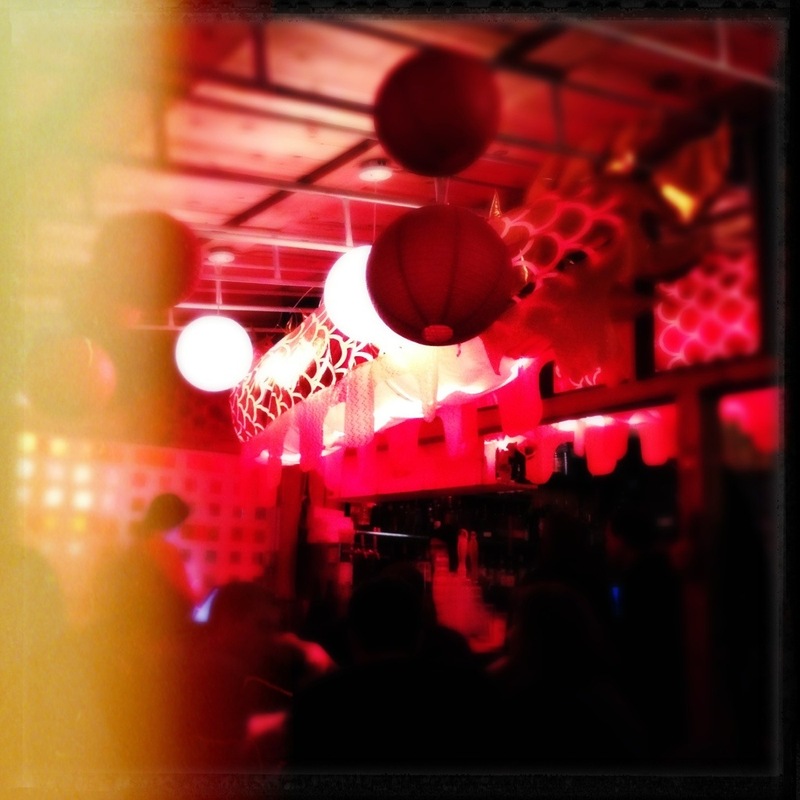 Mission Chinese | Oh No! Not Another NYC Food Blog! Much lauded by chefs American Chinese restaurant in the LES. 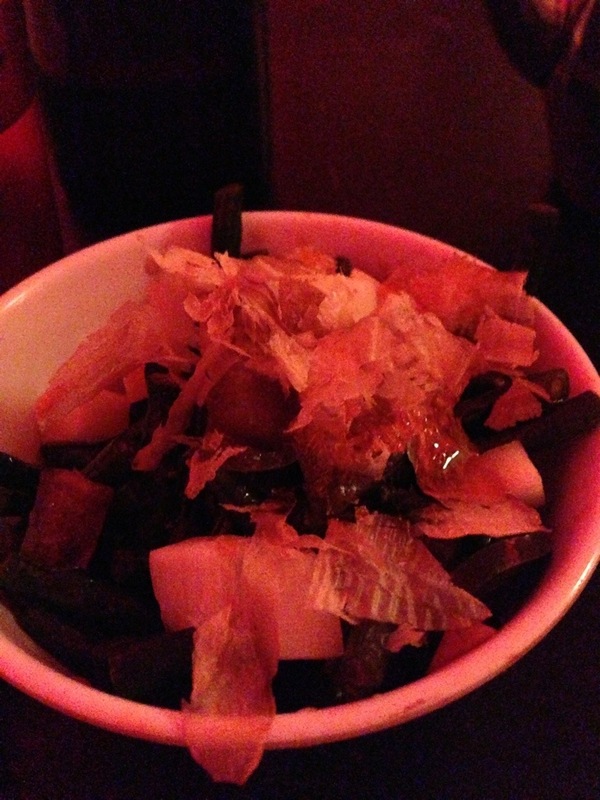 Thrice Cooked Bacon – This dish was bizarre. We’re not sure what to make of it – mouths felt buzzy from spice, like pop rocks. Crazy salty. Our palates were bewildered. Strangest dish either of us had ever had, and that’s saying something. 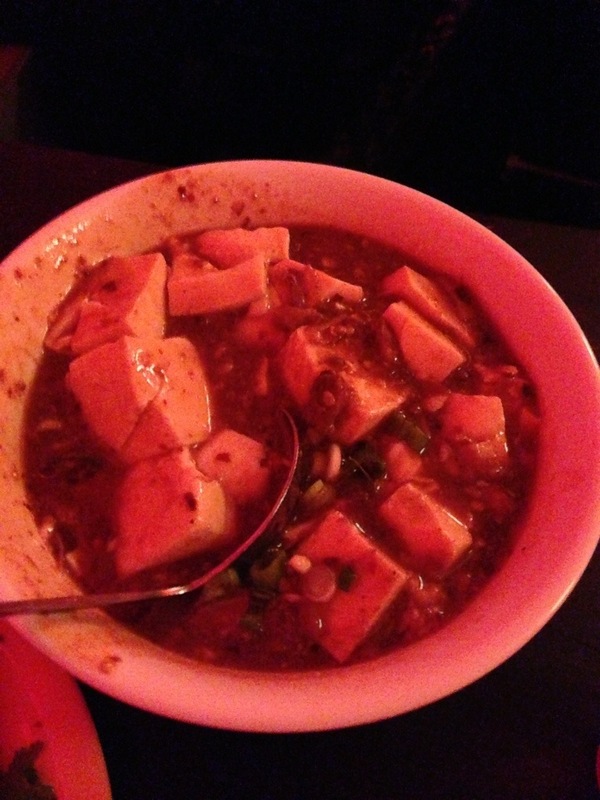 Ma Po Tofu – The tofu was silky and luxurious. Weird layer after layer thing going on with the Sichuan peppercorns and pork nibblins. Leaves mouth watering ridiculously. Odd – not sure if we liked it – bite in, don’t like – too peppery. And then you eat more… Kind of like a drug. Feel like if we eat enough, might trip out. Chili Pickled Long Beans – Crazy salty, loads of taste. Racuous party atmosphere in the tiny dining room. Good music and lots of reds with as much seating as is humanly possible in the small space. Strangely good, and very friendly. You get the feeling they’re used to bewildered first-timers. Our server said we did end up jumping in with both feet and to maybe try 1 dish with the Sichuan peppercorns and 1 without next time for some respite from the buzz. Crazy busy – 45 minute wait for people lined up outside 10 minutes before dinner service opening on a cold rainy night. We came back a few minutes early for our table, and people were being turned away – at 6:45, the wait was already 3 hours, and the list wasn’t opening back up until 9. But, these guys are well organized and seem to know how to handle the craziness. I can’t honestly rate this place. We are completely unsure if we loved it, hated it, or if we’ll be back on the regular like addicts. I can tell you that in the week+ since our visit, neither of us has stopped thinking about that MaPo Tofu. I will throw out words of caution about the odd quality of the spice and the daunting amount of salt in each dish.